MEPFP Consultants - Globtrotters Engineering Corp.
Civil/Landscape Consultants- Terra Engineering Ltd.
New two-story addition of masonry and steel construction containing 13 classrooms, administrative offices, multipurpose room, kitchen and servery. 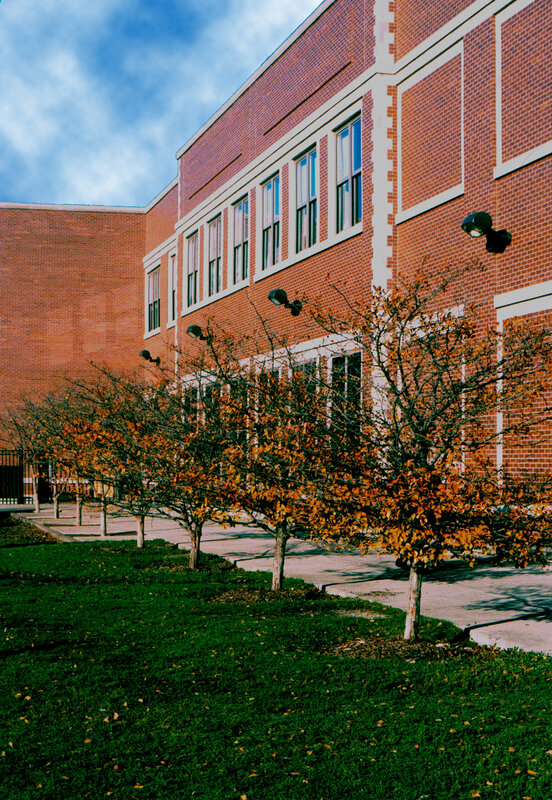 Generous paved concrete courts at building entry points improve the safety of students entering and exiting the building. 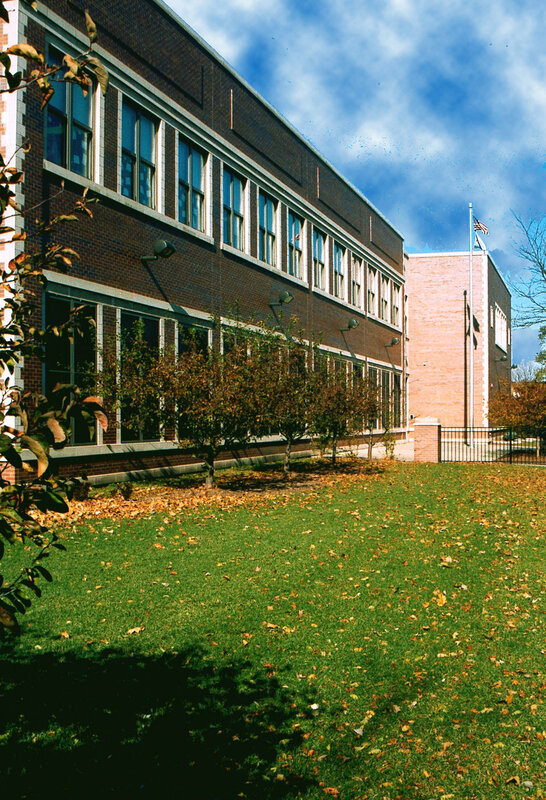 The front court also serves the school's occasional need for an outdoor forum. Three-level link and hydraulic elevator provide handicap accessibility for both the addition and main buildings.